HuffPost Weddings is one of our favorite sources for all things matrimonial including Wedding Registry Trends 2014. 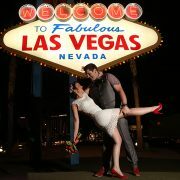 This week, they featured a checklist of the new trends for wedding registries and we have to say the list was spot on! We scoured through some of the best picks we think you need to know about and found out which ones are must haves and where to find them! 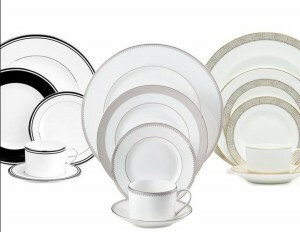 Classic China: Dinnerware has always been the most important staple to any traditional registry. Typically these china patterns come in sets and are prefect for more formal entertaining but can also be used for daily coffee and dinner plates can of course come out for every day meals. And while your Grandmother may gasp on horror at the idea of using your fancy ( and pricey!) plates for pizza night and Taco Tuesdays, we just can’t see the point in not using your stuff when you can. Making everyday a celebration and enjoying your dishes is the new way to go. Just…be careful. Our favorites for timeless dinnerware with lasting power? Vera Wang, Marchesa, Lennox, and Martha Stewart make fantastic, durable and beautifully designed sets that you can use for decades to come and will look just as good as the day you got them! Cocktail Party Essentials: Young couple love to entertain. 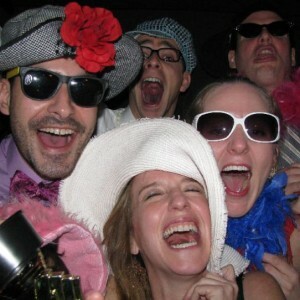 And over the years, entertaining in general has become much more casual than a formal sit-down dinner. 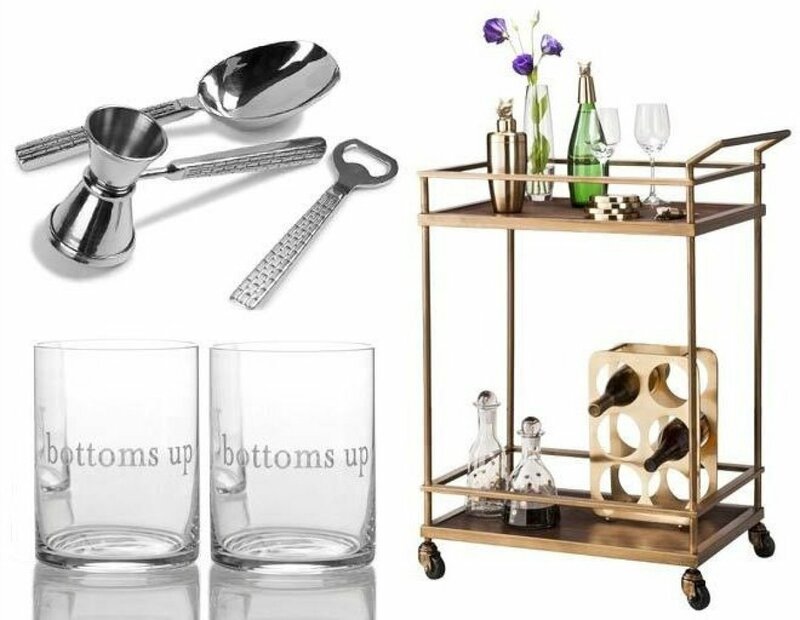 So naturally, your registry should be packed with bar tools, appropriate glassware for corresponding cocktails, and gadgets like wine openers and even a wine rack to store your bottles. Canape or dessert plates and cocktail napkins are a perfect way to fancy- up your next cocktail soiree and don’t forget things like a bar tray, ice bucket, and fun decanters to round out the put –together, yet accessible look. These are components you can use everyday and also double as really chic décor for your first place! 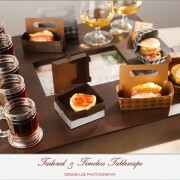 We love trays from West Elm ( they come in every color and texture and are also affordable.) For canapé plates, check out One Kings Lane for specials on caterer sets in all white. 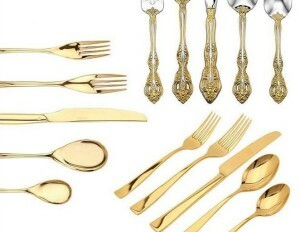 Gold Flatware: We saw this one coming from a mile away with sites like Style me pretty and Snippet and Ink featuring the chicest of weddings with tables dressed in the gilded look. Although the look has a very vintage feel, it is suddenly very modern and romantic and takes a break from the everyday silver flatware we have become so accustomed to. Registry experts say it’s a welcome change for couples looking for something a little bit different that still goes with everything. Guy Gear: Why should the girls have all the fun? 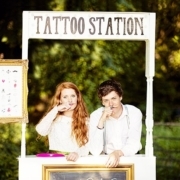 In the past few years, couples are getting smart about registering for items that suit their lifestyle and hobbies. 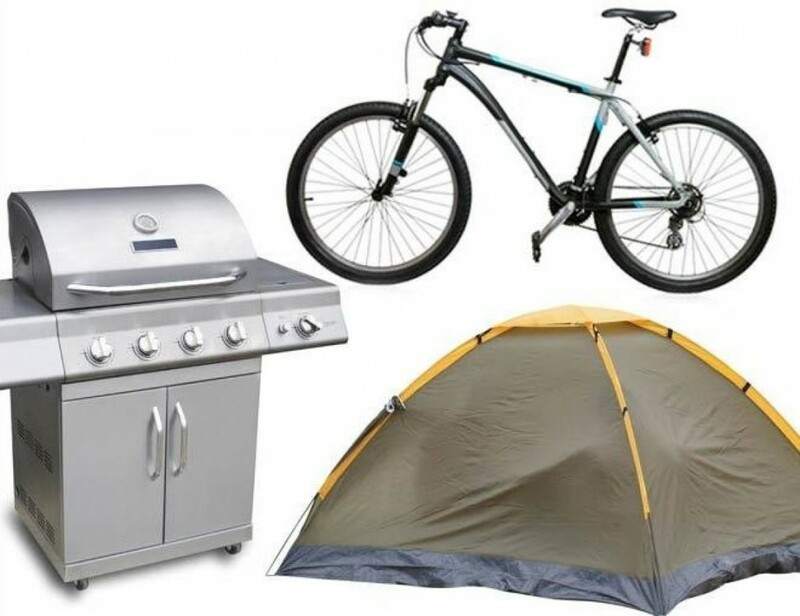 Items like grills, tents, camping gear and bikes are all sure to make the grooms happy and also cut down on the costs of activities that couples like to do together. 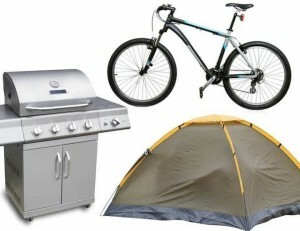 It’s perfect for the outdoorsy couple or for any pair that already have a fully stocked kitchen! 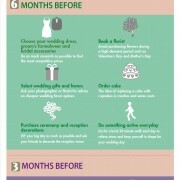 Wedding Registry Trends 2014.